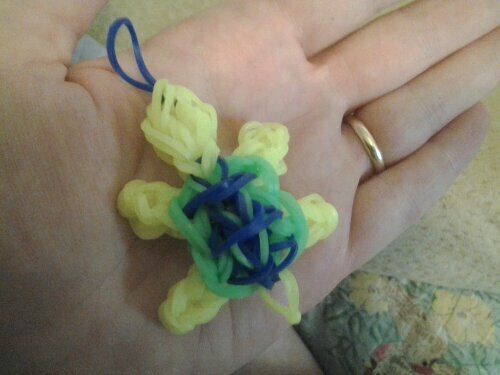 The first rubber band charm I made. 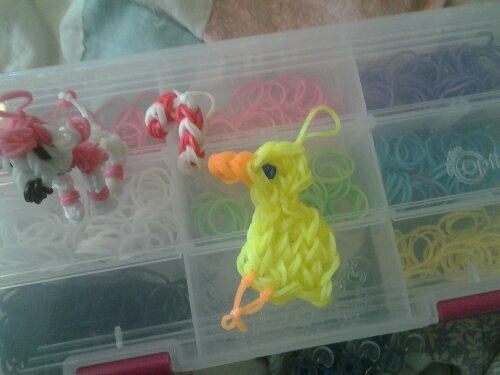 Baby Duck, Candy Cane, and Poodle Charms. 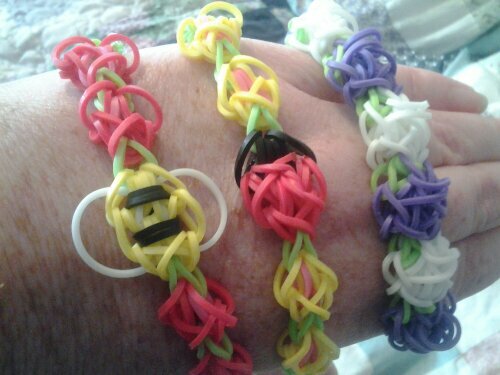 Bracelets I made following along with youtube videos. 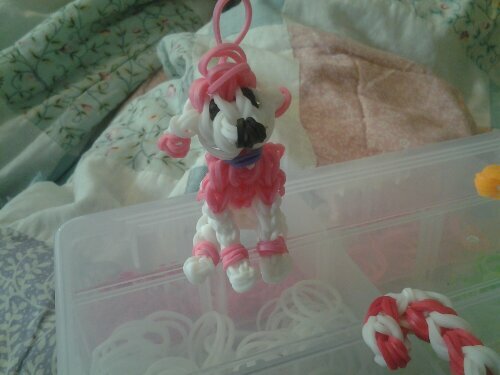 Pink and white poodle I made following along with a youtube video. 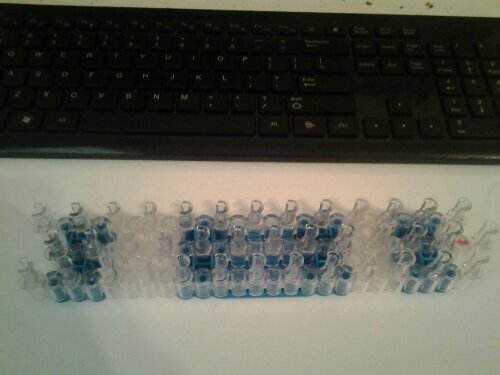 This is what my Rainbow Loom looks like.